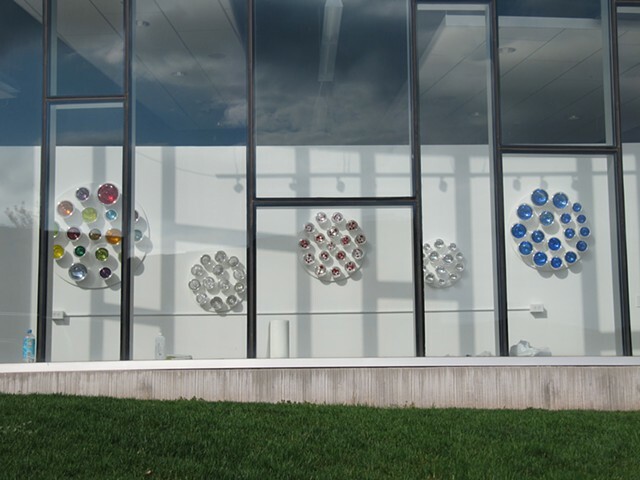 This installation is composed of 5 separate pieces that are different examples of optical, reflective phenomenon. There is a focal point, but as you move in front of the piece, your perception of the piece changes. Colors and shapes bounce and change with motion. This challenges viewers to question their visual perceptions.